The outer lines have a resistance of 2,2 ohm by 6,2 centimeters. The inner line has a resistance of 2,0 ohm by 6,2 centimeters. 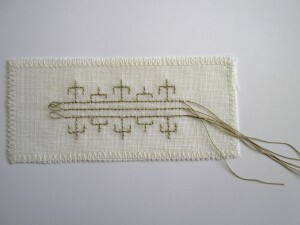 For the Blackwork embroidery you normally use double running also called the Holbein stitch. 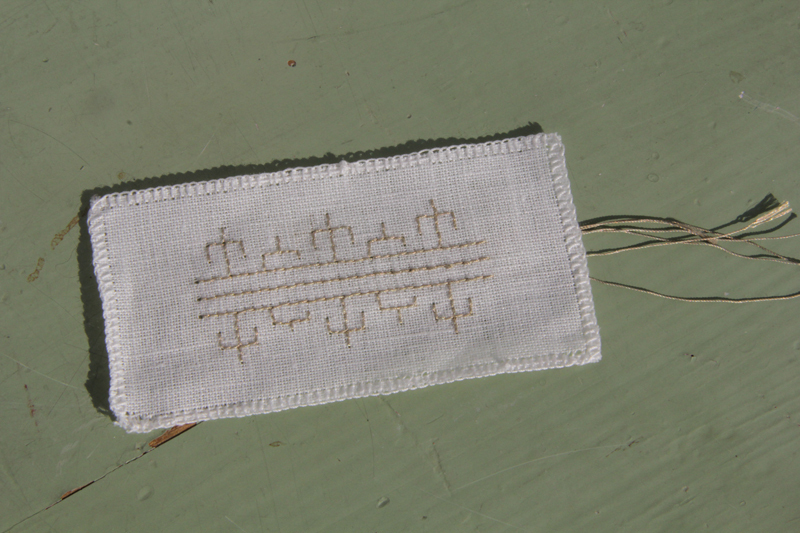 With a cotton thread I seamed the edges of the sample with a button hole stitch. 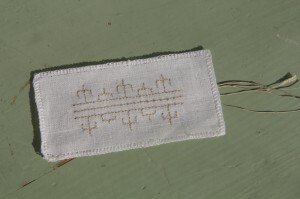 I left the ends of the conductive threads and made a little loop at the other end of the embroidery lines so you are able to connect the sample to an electronic circuit. In the 16th century Katharina from Argon married the English King Henry the 8th. 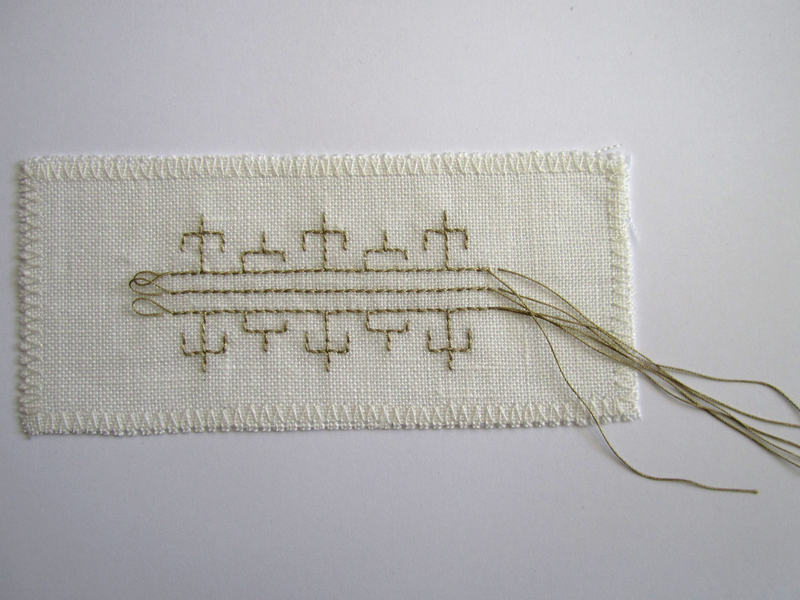 Katharina was raised in Spain and she had a preference for Spanish Embroidery. When she moved to England she brought some of her needlewomen with her. It is assumed that she embroidered also herself. In England they developed their own style. Originally Spanish work had fine geometric ornaments, which shows the influence of the Moorish style in south of Spain. It was during the time of Katharina from Argon that it got its name “Blackwork” and became a fashion in England. 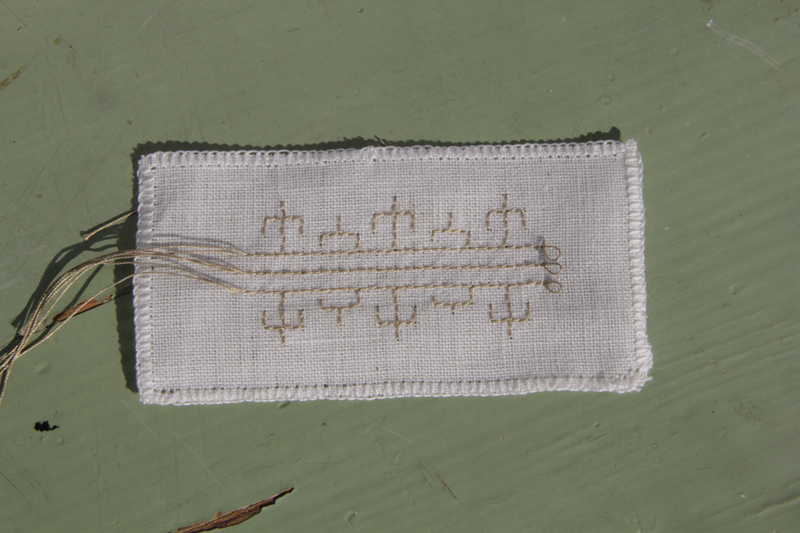 After she died, more and more floral patterns were used in Blackwork.